Time to Kill the Term "Officer-Involved Shooting"
If you subscribe to the Facebook page of the organization "Killed by Police", you will receive a depressing parade of daily updates on police shootings. This litany of posts drives home the fact that the police in the U.S. kill several people a day on average. But one will also notice that the media typically reports these killings as "office-involved shootings." Why has the media taken to reporting the shooting and killing of people by law enforcement this way? It is dangerously misleading. Moreover, it is not just the headline that employs such ambiguous language. Typically, the report goes on to explain that the person "died" as a result of the "officer-involved shooting." This use of such euphemistic language to describe an incident in which an organ of the state has killed a citizen is not only bizarre, it should alarm us. As Orwell so eloquently explained in such essays as "Politics and the English Language" and "Writers and Leviathan," such deliberately misleading and opaque use of language can pose a danger to the fabric of democracy. If we do not write clearly about our political system and public institutions, we will cease to think very clearly about them too. This is neither alarmist nor pedantic. Let us examine the language more closely. First, is the headline "officer involved shooting." This term serves to utterly obscure the role of the police officer, his or centrality to the incident, and indeed who is doing the shooting at all. The word "involved" distances the police officer from the action. To say that a man is "involved" in some incident is to insinuate that while he was implicated in some way, he was not at the center of the action, was not the primary actor in the event. Indeed, he might even be the victim. If the headline read "child involved shooting," our instinctive inference would be that a child had been shot, not that a child had shot someone. The language is ambiguous and requires us to make an inference. Moreover, the term as a whole severs any direct causal connection to the death. There was a shooting, the police were involved, and someone died, but the relationship among these concepts is blurred, if not entirely disconnected. But that too is false. The police were not "involved" and the relationship is not uncertain - on the contrary, they did the shooting, they were the actors who did the killing, they were the cause of the violent and untimely death. The relationship and the direction of causation are crystal clear. If a dog bites a child, we would not describe the incident as a "dog involved biting", and we would find it odd to hear it stated this way. We would simply say that a dog bit a child, and would expect to hear it reported that way. Compounding this distortion is the use of the passive voice in the detailed account of these incidents. 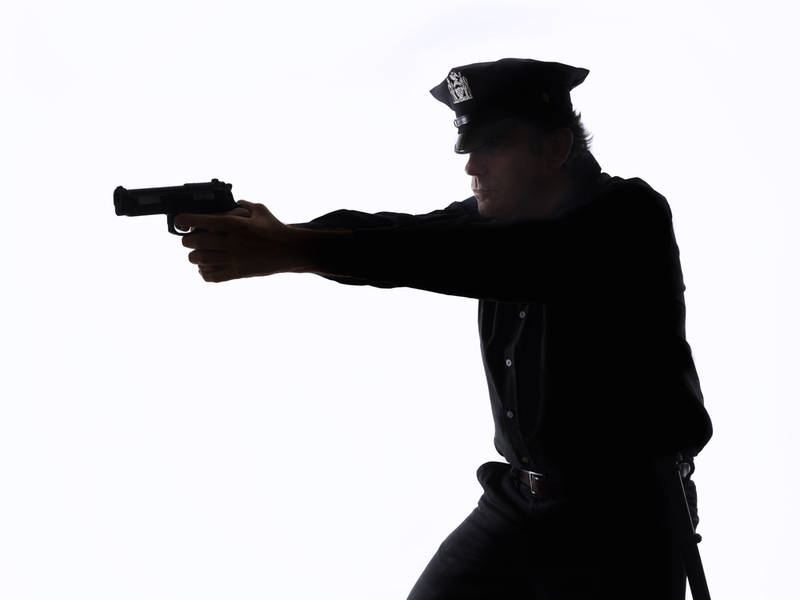 When articles or news reports go on to state that the person "died" in the context of an "officer involved shooting," they imply or leave an impression of indeterminacy as to cause. Reports of death or disaster in the passive voice insinuate that the event was a result of some natural cause or inevitable chain of events. The victim in the shooting did not mysteriously die, he was killed, and there was a specific agent and cause of his violent death. To say that he died in this passive voice is to disguise both the cause and agency of the killing, and is thus misleading. Consider the difference in tone and implication of the sentence "A policeman shot and killed John Doe," as compared to "John Doe died in an officer-involved shooting." Now, to be clear, this has absolutely nothing to do with justification. Many police shootings are justified. Many may not be. There are arguments to be made about the legal standards in place for justification. But none of that is relevant to the language used to report the basic facts about these shootings. Some may wonder whether the media's use of language reflects efforts to be "objective" or "neutral" on the issue of legal culpability for the shooting. But this is wrong. Whether it was justified or not, the police shot and killed a person, and any uncertainty over the legal or moral basis for that act ought not to impact on how the fact itself is reported. "Police shot and killed a person." That is how we would describe it in normal English. If it must be reduced to a snappy headline, then "police shoot person" - just as many words as the headline now so popular. Regardless of whether the shooting is justified or not, the use of euphemisms is dangerous. Deliberately or otherwise, the media is distorting language to subtly soften or cloud the visceral image of state institutions killing citizens - Orwell would surely tremble at the implications. The media ought to stop this now.